You probably are suffering from the fierce competition online and you might be wondering if this new platform by Cindy Donovan can really help you get the desired high quality and targeted traffic to your website, blog posts, affiliate links, and offers or it is just another hyped program. 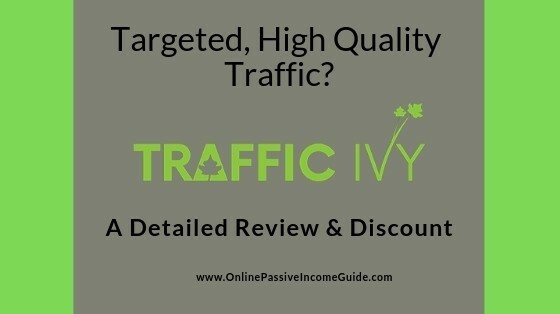 Join me in this detailed Traffic Ivy Review before you invest any money in order to see if it is really worth trying or it will harm your business. Bear with me till the end, and I will give you a way to use it for FREE in additon to the massive temporary discount! I know that when you have a business online, especially if you are a beginner, one of the most difficult parts of running your business is getting the targeted traffic to your business that would convert into customers and make you money, especially that Google has recently announced that there are over a 1 Billion blogs online in different niches, which makes it really challenging and time-consuming to get ranked on the search engines and get organic traffic. And not to mention the continuously increasing cost of the paid advertising, whether it was through search PPC ads, FB ads, Banner and Display ads, …etc. which makes it less profitable over time to utilize them. And this is why you are probably looking for cheaper alternative methods to drive HIGH QUALITY & TARGETED traffic that would make you a better ROI and save you some time. And this is why Traffic Ivy was created! Original: $27 for 2,000 Traffic Points, $47 for 5,000 Traffic Points, $97 for 10,000 Traffic Points. Discounted: $9.97 One-Time-Payment for 2,000 Traffic Points, $27 One-Time-Payment for 5,000 Traffic Points, $47 One-Time-Payment for 10,000 Traffic Points. In brief: Traffic Ivy is an intermediary web traffic marketplace or exchange. You can do two things with Traffic Ivy: Buy Traffic & Offer Traffic. Traffic Ivy is designed to give you the ability to get high quality and targeted traffic from other people’s websites, blogs, YouTube channels or social media followings, quicker than relying on organic traffic from the search engines (SEO), and at a lower cost than paying for ads, whether search ads on the different search engines, PPC ads on social platforms, display banner ads, solo ads, or paying for expensive backlinks. The moment you join Traffic Ivy, you get a specific number of “traffic points” based on the pricing plan you chose. And when you want to get some traffic to your own websites, sales pages or offers, you start a campaign on Traffic Ivy, and you choose which sources you want the traffic to come from: others’ blog posts, social media platforms, video platforms, …etc. You can also block the traffic from certain countries or traffic sources. You decide how many people you want to send traffic to your website or offer, and how many points you want to spend in return. That was the first thing you can use Traffic Ivy for. I mentioned in the first use of Traffic Ivy above that you get traffic from other people’s websites, blogs, social media followings, video channels, …etc. and pay them traffic points in return. And this leads us to the second thing that someone can do with Traffic Ivy, which is offering traffic to others’ websites and offers. 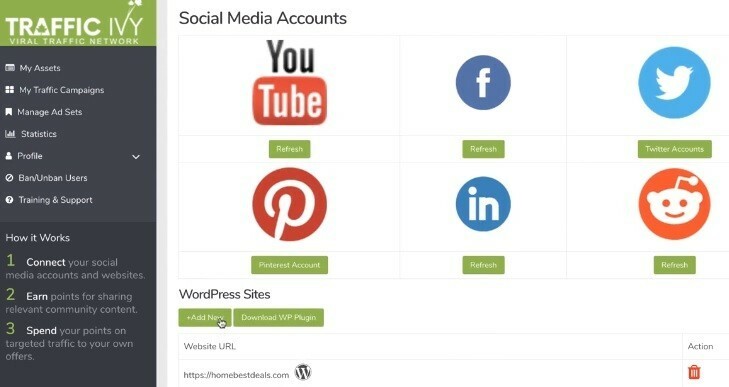 When you join Traffic Ivy, you get the chance to connect your social media accounts, YouTube channel, or even your WordPress website (through a dedicated plugin) to the marketplace at Traffic Ivy. And then, you can see what campaigns are available on the marketplace, choose the ones that are relevant to your website or social profiles, and send traffic to those campaigns and get traffic points in return, which you can use later to buy traffic to your own website or offers instead of keep paying money for the traffic. As I explained above, there are two things you can do with Traffic Ivy, Buy Traffic, or Sell Traffic. And you can do both. 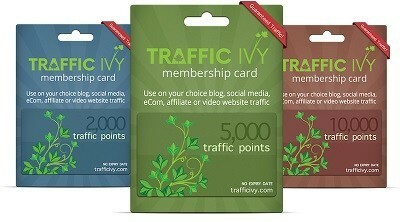 The first time you join Traffic Ivy network, you get a number of traffic points based on the pricing plan you choose. Let’s say you choose the lowest plan $9.97 where you get 2,000 traffic points. Get It Here! You can now use these points in order to buy traffic to an offer on your website, or to a blog post on your blog. You start a campaign and decide what kind of traffic you want: from websites, social media pages, YouTube, …etc. 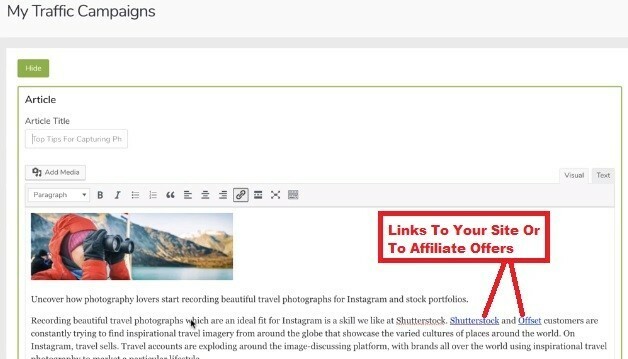 For example: you can write an article and include some links to your website or offers inside it, and request others to share this article on their websites, social media profiles, YouTube channels, …etc. You can also request the traffic in the form of shares on different social media platforms as you can see in the following screenshot. You decide how many people you want to share this article that includes the links to your website or offer and you decide how many points you want to offer to each of them. Once you publish your campaign, others will find it in the marketplace, and if they find it relevant to their audiences, they will share it and start getting YOU traffic. You can monitor where this article is being shared, and when you asses the traffic coming to your website or offer, you can leave a rating for each one of the people who sent you the traffic. Now What Happens When Your Credit Of “Traffic Points” Ends? Collect traffic points by sending traffic to others offers through your own website or social media accounts. And once you have more points, you can purchase traffic again. In order to do the second method above, you can easily itegrate your social media accounts, YouTube channel or even WordPress blog (Through a dedicated plugin) with the marketplace at Traffic Ivy. And from that point onward, you can easily send traffic to other people’s campaigns with few clicks and get points in return. Who Is Traffic Ivy For? People who want to purchase high quality and targeted traffic to their websites and offers by paying money. People who can offer traffic to others’ websites and offers and collect points, and then, use these points in order to purchase traffic to their own websites and offers. How Is Traffic Ivy Different From Buying Traffic Through Other Channels? Compared to the big advertising platforms and networks such as Google & Facebook, Traffic ivy will give you the opportunity to get targeted & trackable traffic at a lower rate. And you can get your traffic from social media pages (Facebook pages for example) which might be more effective than paying to Facebook in order to show them as ads, as many people will trust what they see on the pages they follow more than what they see in the form of sponsored ads. And the same goes for getting traffic through others’ websites instead of letting Google show banner ads. Compared to buying traffic from Fiverr vendors, Traffic Ivy shows you where your traffic is coming from and where your links are being shared in full transparency in order to make sure that you get real human tarffic, while at Fiverr for example, many of those who sell traffic will send you Bot traffic that is not going to give you any value. And remember that you have the ability to give a rating to whoever sends you traffic, and you can block some traffic sources or countries when you launch a campaign. Compared to waiting for SEO to kick in, Although building your own website and getting traffic through SEO is my favorite way, but it might take some time, and in some cases, you might want to drive quality targeted traffic urgently to your website, or you might want to send the traffic to affiliate offers directly without building your own website, and here comes the benefit of Traffic Ivy as it can send you targeted traffic faster than relying on SEO. The founder of Traffic Ivy, Cindy Donovan is a remarkable and well-respected person and entrepreneur. You can start with as low budget as $9.97. Get This Discounted Price Here! You don’t have to pay always in money, instead, you can send traffic to others’ websites and collect points in return, which you can use later to buy traffic to your website or offers. There’s a rating system in order to asses the traffic vendors. 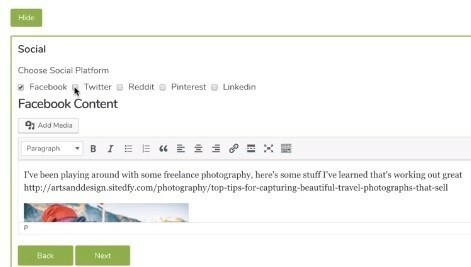 Can get your content viral by having multiple people sharing it at the same time on their accounts or websites. Tracking so that you can see where your traffic is coming from. You can block traffic sources or countries that you don’t want to send traffic to your website or offers. You can get high quality and targeted traffic for a lower cost than paying for ads, and faster than waiting for SEO. It can help in building targeted quality backlinks, which might help your SEO if you know how to do it right. You can use it to send traffic to affiliate offers even if you don’t have your own website. There’s a 30 Day Money Back Guarantee, although the cost of joining Traffic Ivy is ridiculously low. The platform is still new, which means that there’s still not many success stories and testimonials for Traffic Ivy, but that’s ok when compared to the low initial cost of joining ($9.97), and especially with the transparency and level of control you have. Can Traffic Ivy Harm Your Website Rankings? If you are using Traffic Ivy to build backlinks, then make sure that you don’t go aggressive and don’t try to over-optimize the anchor text as this will make Google punish you. $27 for 2,000 Traffic Points. $47 for 5,000 Traffic Points. $97 for 10,000 Traffic Points. $27 One-Time-Payment for 5,000 Traffic Points. $47 One-Time-Payment for 10,000 Traffic Points. There are some optional up-sells that will be offered later, but the above plans are enough to start with. First, you need to join Traffic Ivy for the lowest plan by clicking Here (C’mon, it’s only $9.97 one-time-payment). You will get immediately 2,000 traffic points that you can use to buy traffic. And after you finish the first 2,000 traffic points, you can collect points more points without paying money through sending targeted traffic to others’ websites and offers through your own social media profiles/pages or website. (You can easily integrate them with the Traffic Ivy Platform in order to track everything). 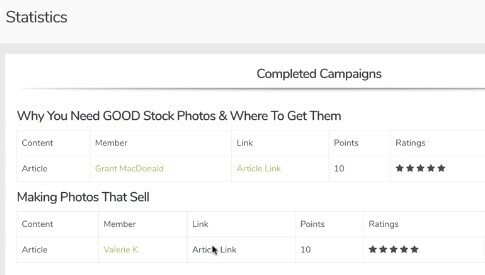 After you collect points, you can use them to buy traffic again to your own website and offers. Conclusion – Is Traffic Ivy A Scam Or Legit? Traffic Ivy is NOT a scam. Although it is new in the market, but the fact that it is founded by someone like Cindy Donovan, and with all the features and transparency in using it, I can tell you that Traffic Ivy is Legit and worth the try, at least for the lowest plan in order to test it. Anyway, you can get the lowest plan for a discounted price of $9.97. Click here and scroll down to where you see the following button and get it from there. As I mentioned, you can benefit from Traffic Ivy in order to get targeted and high quality traffic quickly when compared to SEO and at a low cost when compared to the conventional PAID advertising methods, and you can use it to build targeted backlinks to your website. You can even use Traffic Ivy in order to send traffic to your affiliate offers even if you don’t have a website or you don’t want to work on creating SEO friendly content. And there’s no harm on that. But I don’t recommend relying completely on the paid traffic, as in my opinion, the free traffic from the search engines is the best and most sustainable option on the long run. But again, sometimes you need to send paid traffic quickly to a specific page or offer for a limited time, and for that, Traffic Ivy would be a great choice. But the main core of your business and the most sustainable way to get traffic to your own website is through the search engines (Google, Bing, Yahoo, …etc. ), which is something you can get if you learn how to do SEO (NO prior experience, technical knowledge or coding is required). That’s the base of your online business. And after that, you can start using the paid traffic methods like Traffic Ivy in order to get traffic for specific campaigns or pages on your websites for a specific period of time. If you already have a website that is getting free traffic through SEO, then you can go a head and get more traffic with Traffic Ivy. Click here for the discounted prices! But if you don’t have your website up and running yet, or if you have it, but you still don’t know how to get it ready for the search engines and you don’t know how to get the FREE organic traffic from Google and others, then you can learn how to do that at my favorite platform to learning how to create an online business, which is Wealthy Affiliate. This platform is designed to teach you how to build an online business by building an authority website/blog (Zero Coding or Previous Experience Required), and will teach you how to create SEO-friendly content that can get you the FREE traffic from the search engines. And after that, you can scale up your business by leveraging the paid traffic through different channels, including Traffic Ivy, when necessary. And Wealthy Affiliate offers both, Free & Premium membership plans. 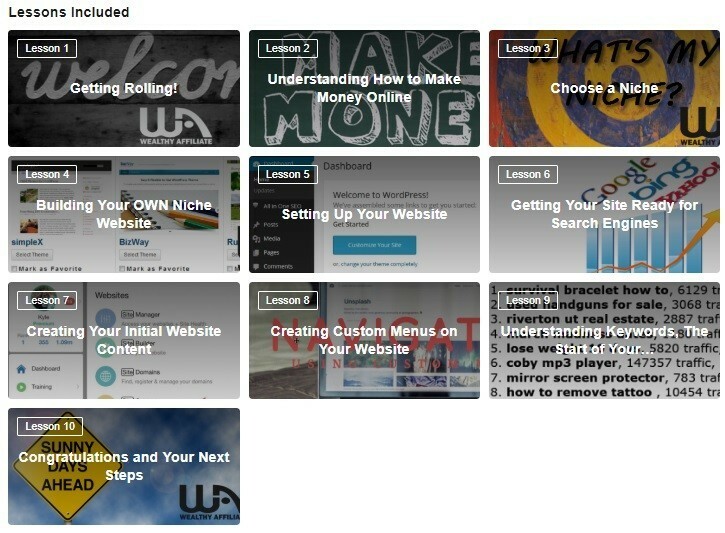 You can join the FREE Starter Membership through my Wealthy Affiliate Review, which will include the following TEN lessons that will teach you the basics of creating an online business and the basics of SEO. 100% NEWBIE-Friendly and 100% FREE to START. It will also allow you to build the first FREE website inside the platform in 30 SECONDS! (Zero Coding), if you don’t already have your own website. And as I mentioned, after that, you can scale up with the paid traffic sources such as Traffic Ivy. Or if you already have a running website that is already optimized for search engines, then you can go ahead with Traffic Ivy now. I like how you explained Traffic Ivy. This is really a comprehensive and detailed review. I like the fact that you really have control over the traffic sent to your website and the fact that you see where the content is being published. And of course, it is great that you can also offer traffic to others’ campaigns instead of keep buying traffic points for money. I would love to try out Traffic Ivy during my free time. Keep up the good work. Hello Alissa and thank you for the comment! Indeed, with the level of transparency and control you have at Traffic Ivy Marketplace, you can realise that it is a legit way of driving targeted and high quality traffic to your website and offers. However, as I mentioned earlier, don’t put all your eggs in one basket. That being said, I emphasise again on the importance of the organic SEO traffic as it is the one with the best buyer intent and the one that is most sustainable and evergreen. Please, let me know if you need any help! Thanks for taking the time to review Traffic Ivy. The site looks like a great option compared to PPC or paid social media traffic. You mentioned that the site is new. How is working for you so far? Any issues due to the fact that it is a new site? Are you finding that the traffic sent to the site is good quality traffic? I’m still testing it and of course, I’m looking for what others say. The testimonials from those who tested Traffic Ivy before the launch seem to be positive, and because the founder is respectful and already successful entrepreneur, in addition to the level of control and transparency you have as I mentioned above, I believe that Traffic Ivy will be a good traffic source for the years to come. However, an important thing to keep in mind is that in order to get the best out of it, remember that it is only a traffic source. That being said, before you send any traffic to your website or offers, make sure that you have a good looking page or an appealing offer, as people will leave your site if they don’t find what they are looking for regardless of who invited them to visit your website in the first place. And as I mentioned, don’t use Traffic Ivy for aggressive link building strategies as it might affect your ranking negatively. Please, let me know your experience with it if you try it. Thank you for this review Amjad! From what I see, Traffic Ivy is not something I can rely on. How much traffic do they have on their own, let alone providing traffic for their members or showing their members ways to get traffic. I wonder why people still fall for all these things such as traffic Ivy. At the end of everything, you will end up loosing your money and time too, don’t you think so?! Hello Kenechi and thank you for your comment! The idea of Traffic Ivy is that they are building a growing traffic marketplace, or let’s say a network of websites and social media accounts that belong to individuals who can sell traffic in some niches or topics. Think of it as Google Display Network that allows website owners to join it in order to get paid for showing banner ads, and allows advertisers to buy that space for a certain number of views or clicks. Or think about it as Influencer Marketing where social media account owners can do paid shout-outs to others’ business or websites. But Traffic Ivy is the intermediary between the traffic seller and buyer. Like it is when it comes to Google Adsense, but maybe a less expensive option. But I agree that you shouldn’t completely rely on paid traffic as it is not a sustainable method, and especially if the traffic provider is still new in the market. Traffic Ivy is a legit platform that is worth testing, but not to rely on it completely. Thank you for this great post Amjad! Your review of Traffic Ivy is typically unbiased and honest. I have heard about the Traffic ivy a couple of times but I have never been chanced to read more about it. Thank you for providing the much needed insight into this, going by your review it think the traffic Ivy is legit. Hello Clement and thank you for your comment! It is a legit marketplace for traffic, but as I always recommend, you can use paid traffic for certain events or promotions, bu don’t rely completely on it as it is not going to be sustainable to do so. Organic traffic from search engines is still the number one reliable and sustainable traffic source and will remain so for a long period of time, which is why I always recommend others to learn SEO from a reliable training program such as Wealthy Affiliate. Thanks so much for the wonderful post Amjad! You wouldn’t believe I don’t know I could get that much traffic to a particular post on my site with just a little sign up fee. Really would make sense like you mentioned for a newbie website. I have a new website, its almost 4 months old and i wonder if it is normal if my site still have a total of 230 traffic? Please i would appreciate if you can respond to my comment here. Even if you have 230 monthly unique visits to your website, that’s great. Many people finish the three months mark with even less than that amount of visits and they give up. It depends on the niche you are in, your publishing frequency, quality of your content, the keywords you tartget, …etc. But in general, if you are generating this traffic with a 3-4 months old website, that’s great. Just stay consistent and keep creating more quality content!